I have a beach themed alphabet game to share with you today. Not only is it lots of fun to play but it is great for practicing letter recognition. With two different ways to play your child is sure to have an enjoyable time. 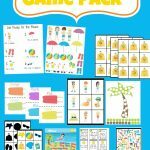 To get started first you will want to download the game at the bottom of this post. 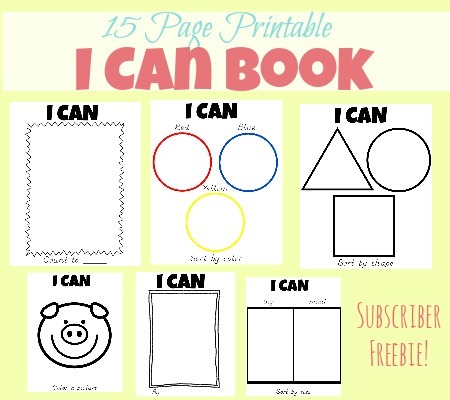 Next, you will want to print it out. If you are wanting the game to last more than a few rounds of play it is best to print the game cards out on cardstock. I went ahead and laminated my game pieces as well because I knew my toddler twins would want to join in and they tend to be a little rough. After you have the game printed, cut out each game card. Now you are ready to play! I found two ways to play with my kids. The first is to simply spread the cards out in front of the player. Then you can call out the name or sound of one of the letters in front of them. 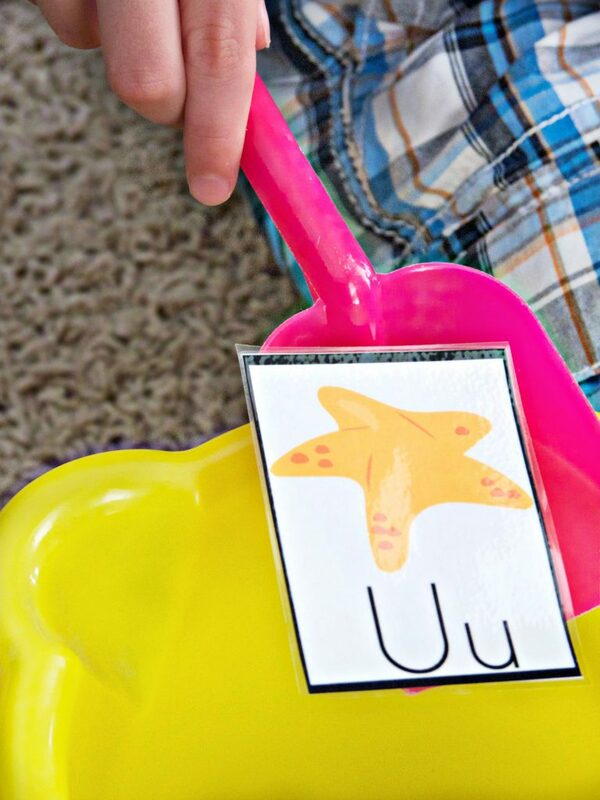 If you have a sand bucket and shovel with you, ask your child to use the shovel to scoop up the card with the corresponding letter and place it into the bucket. If you don’t have a bucket, your child can just grab the card and collect them in a pile in front of them instead. Continue playing until all the letters have been called out and their alphabet beach collection is complete. 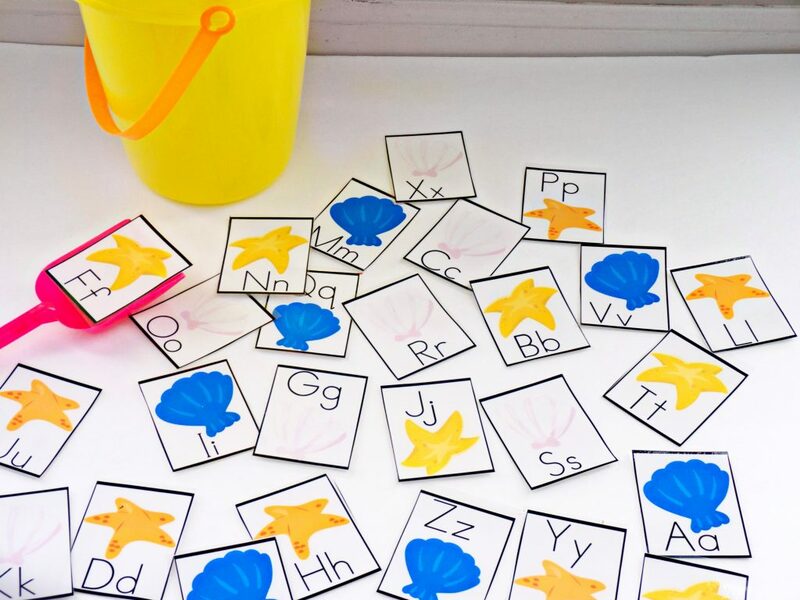 Another fun way to play with these cards is instead to spread the cards out throughout the room. 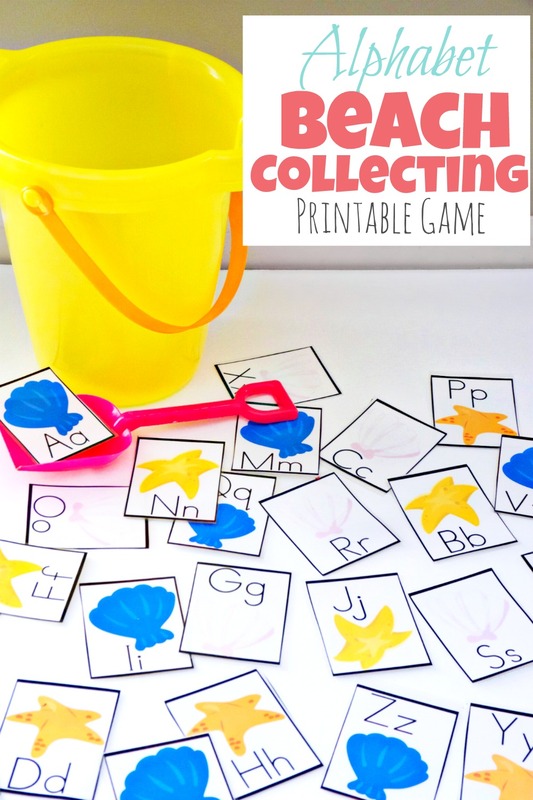 Hand your child his beach pail and shovel and ask him to search around the room to find the alphabet collection. Each time they find one of the seashells or starfish have them to call out the letter that is on the card. If they can name the letter correctly they can then place that card into their pail. Keep playing until your child has found each letter of the alphabet. 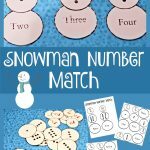 My kids have had lots of fun playing this game and I hope that yours will too! In fact, my toddlers seem to be the ones that are most excited about dumping out the cards and scooping them back into the pail over and over again. So this may also be a great game to help introduce alphabet letters as well. Just be sure to have extra shovels on hand. Especially if you have impatient littles like I do wanting to join in on the game. Feel free to download a free copy of this game by clicking the text below. Enjoy! 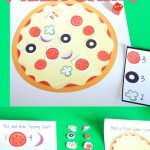 * P.S If you enjoy this game be sure to sign up for our email list in the left sidebar of this page to be the first to learn about other fun and educational printables!